Live a block from moonlight beach! This gorgeous home is beautifully renovated with beachy clean vibes. 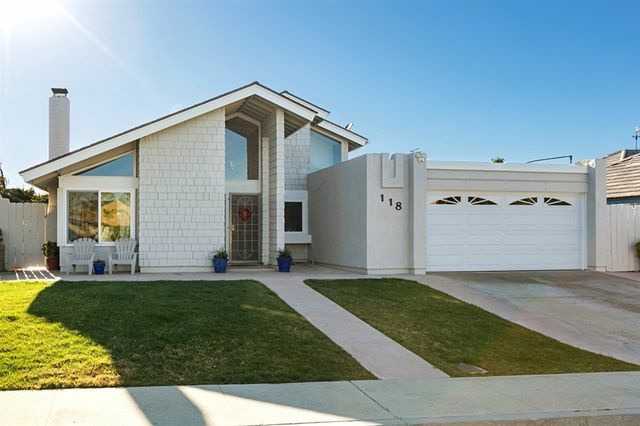 5 bedroom/4 bath, 2568 sq ft with ocean views from the kitchen, family room and deck! Remodeled kitchen with custom waterfall island and top notch appliances. Bathrooms are remodeled as well as new hardwood floors up /carpet down. Surround sound, elevator, garage and private yard. Not only is the home stunning but you are walking distance to everything that Downtown Encinitas has to offer ! High demand quiet, private end unit with approximately 300sq,ft. of additional fenced backyard approved by HOA. Views of 18th hole of LSF golf course. Single level with loft and storage access. Spacious living area with vaulted ceilings, custom stain glass and fireplace. Numerous upgrades, dbl. pane windows and doors. Newer range and microwave. Enlarged loft with updated staircase. Enlarged walkin master closet. Newer bath faucets, shower door, light fixtures, mirrors, and ceiling fans. New garage door. FIRST TIME ON THE MARKET !! Custom built beach house is surrounded by multi- million dollar homes. The attention to detail is phenomenal, upgrades include, hardwood flooring , crown molding , vaulted ceilings and much more. 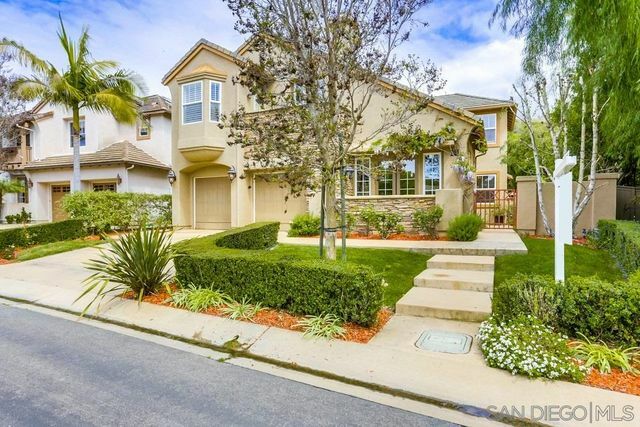 Come live the dream in the heart of Leucadia just a 2 minute walk to Beacons beach. This is truly an unique opportunity for gracious beach living or investment. Must see this beautiful beach house to realize the full potential of living in the heart of the best area in North County. A unique find in Encinitas, this light-filled home sits on .4 acres with no HOA's or Mello Roos! Nestled on a cul-de-sac, this open floor plan home features an abundance of newer windows, an upgraded kitchen, high vaulted ceilings, hardwood floors, huge living areas and bedrooms, an incredible master bathroom, custom built-ins, canned lighting, and a formal dining area. Escape to the backyard where you'll enjoy privacy from the hillside behind and mature trees, gardening terraces, a pool, and spa! Solana Beach's hidden gem West-of-the-5 near Del Mar Racetrack, the Coaster Station and Cedros Design District. This 2-story Tudor style home has a tastefully remodeled kitchen featuring white cabinetry, quartz counters, stainless steel appliances and subway tile back splash. Open dining area with French doors leads out to the large fenced patio for alfresco dining. Enjoy cool ocean breezes all year long! 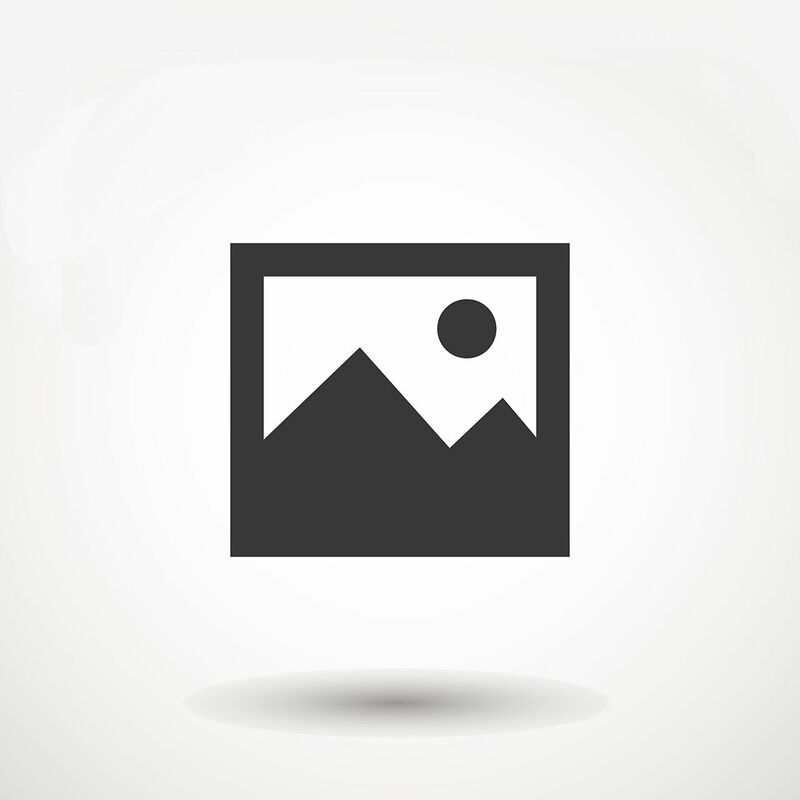 Two large upstairs bedrooms share a large bath with a tub, downstairs bath has shower. Welcome Home! 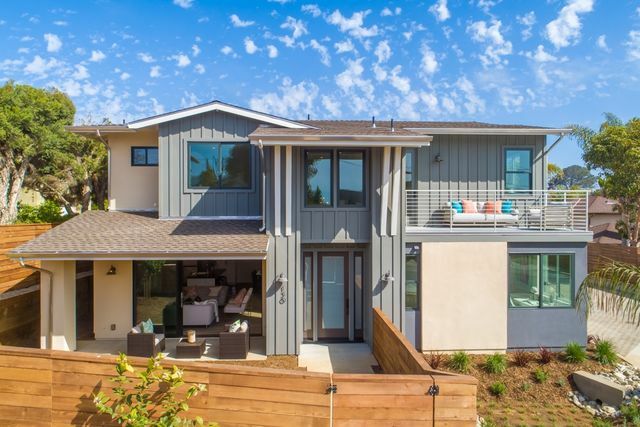 BRAND NEW custom build ideally located west of 101 in the heart of Leucadia. Walk to the sands of Grandview or Beacon’s Beach, popular restaurants, coffee shops & retail for the ultimate in urban beach living. Designer detached home showcases impressive great room, tongue & groove wall details, luxe master suite w/ large deck, 1st floor bedroom + full bath, chef’s kitchen w/ island, high-end Bertazzoni appliances, quartz countertops, wood flooring & stacking glass doors unfold to private yard. NO HOA! Location x3!! Encinitas has been ranked one of the hottest places to live in the country, & Encinitas Ranch is one of the best locations in Encinitas. 705 Rihely Place has it all, from the private side courtyard entrance to the mature foliage and hardscaped back yard which includes a built in FP, BBQ, and fountain, you will feel like you are on vacation. As you walk in you will be immersed into the warm, well upgraded interior boasting hardwood flooring, built in cabinets, SS appliances and so much more.